Gold closed on Friday at 1574.8. The major support is highlighted by the Monthly Bearish Reversals at 15470, 15410, and 15320. This is the critical support and a monthly closing beneath these three reversals will confirm we should retest the 1160 area. A minor Monthly Bullish stands at 17580. The next two Weekly Bearish Reversals are 15640 and 15320. From a timing perspective, next week is a turning point followed by a Panic Cycle the week of March 11th. Volatility should reach a high the week of March 18th. This week is a Directional Change. 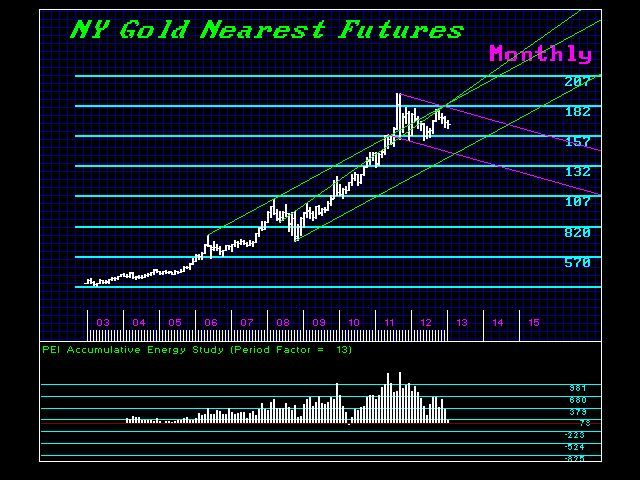 The key is the monthly levels and until these three are taken out, then gold is still basing. Daily closing resistance is at 1652. Overall, February was a Directional Change and that has been on the money. High volatility appears in April and the next major turning point will be May followed by Sept/Oct. We still see gold rising after 2015.75. « You Have to Crash & Burn – Portugal Starting to Get It.